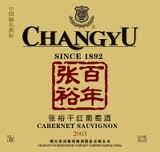 The Changyu Pioneer Wine Company has released what is claimed to be the “first wine made from organically-grown grapes in Chinese history”. The wine, produced by the Yantai-based winery in Shandong province in collaboration with Lenz Moser’s TxB International Fine Wines, uses Cabernet Gernischt – a cross between Cabernet Sauvignon and Cabernet Franc. It has been a five-year project and Clemens Tamegger of TxB told the drinks business that yields were around 7-8,000 tons per hectare rather than the norm in China of 30,000. The Changyu Winery is the largest in China and TxB will be responsible for distributing the wine, which will begin in July. Cabernet Gernischt, thought to have been wiped out in Europe by phylloxera, is now only found in China and was introduced to Shandong province in around 1892 by the Changyu Pioneer Wine Company.